In general, there are some built-in iOS tools for checking how long will your battery will live. It can show you what applications eat the most of its resource as well.However, these tools show you just the actual data without telling you anything about battery's long-term health. This is an important part, so I'll tell you more about what does the battery health means and how to check it. Battery Health and Its Life: What's The Difference? People often mix these terms but in fact, they mean different things. Battery life is how long can it last on a single charge. Battery health is how much resources your battery has lost over some time. Let's pretend that you've bought a brand new iPhone in 2016 and used it the whole 2017, and to 2018, its battery life won't last as long as a couple years ago. Do you agree? After some time your battery will ask you to recharge it every 2-3 hours. Now, you can imagine the scale of the disaster. It can be very annoying. Another problem is that the batteries in iPhones can't be just got out and changed to new ones. In order not to visit Apple service centers every several months, you should watch your battery health.If you do everything right, it will remain healthy even after years pass. You have to know that lithium-ion sources of power that are used in the majority of smartphones lose a bit of their capacity after each recharge. As Apple states, their batteries lose only 20% after 500 recharges. The maximum capacity (battery total charge). 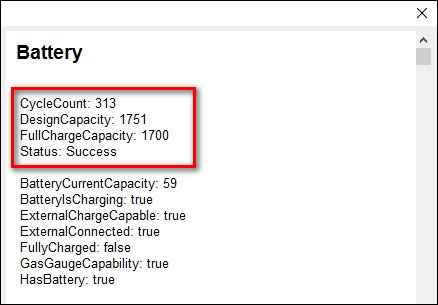 The number of charges your battery had during all the time you used it. You won't be able to get this information from the iOS settings, so let me teach you the steps for doing it. There are several options for knowing this data. In the past, you could go with your iPhone to the nearest Apple Store and ask them to run a test to find out how much resources are left there in your battery. Nowadays, this can be done without leaving your home. That's why I assume this method comfortable. Visit the official website and call them via the phone. Write in an online chat. 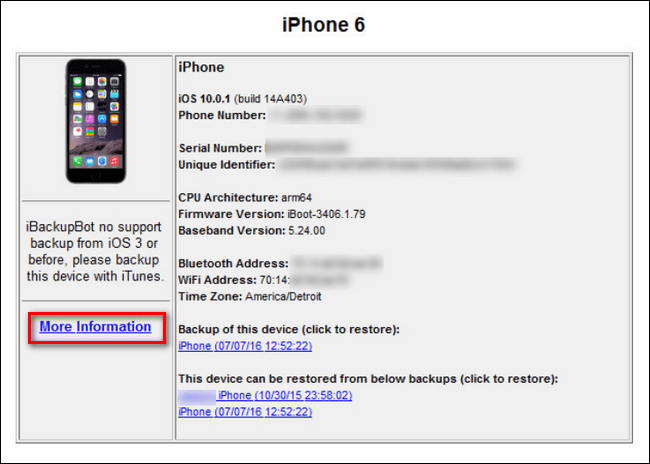 To conduct the necessary test, you should provide them with your iPhone's serial and the version of iOS. After that, they will approve you for a test. You'll find it in the 'Settings' app. After finding out how healthy your battery is, let the Apple representative know that you have already done with testing. The main minus for this method is that Apple doesn't provide users with certain numbers, they just say that 'the battery is in good health'. I can honestly confess that this way is the best one, but surely, we are interested in numbers. So, there are other ways to get them. In the App Store, you can find a plenty of different free applications offering the same, but there is one that I've found the most effective and user-friendly. There are ads in Battery Life Doctor, but I hope you won't be annoyed with them. Its advantages are simplicity and straightforwardness. You will find several sections in this application. Pay the most of your attention to the 'Battery life' section. Go to 'Details' to see what is going on with it. The first you will see here is a large graphic telling you about the general health of the battery. It can be perfect, good or bad. The 'wear level' measured in percentages shows the degree of degradation. If it says 13%, then your battery health is 87% from the original 100%. 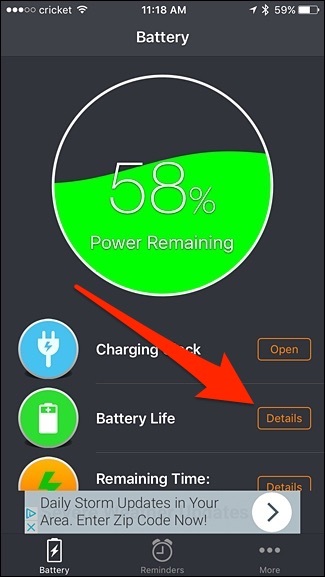 Below, the app will tell you about how many % of life's left in your battery at the moment, the capacity I mentioned above, the voltage, and if your iPhone is charging now. If you won't have a chance to download and install the Battery Doctor app, you still can test your battery health and find out if it's good. Use your Mac! There is a useful utility Coconut Battery that can tell you about both MacBook and iPhone (iPad) batteries. Plug in your mobile device into Mac, launch Coconut Battery and choose 'iOS device' at the window top. It will show you the charge status and the 'Design capacity'. It is the metric of the battery health status. I checked my iPhone battery with this app. It didn't show me exactly the same result as the mobile Battery Doctor app. Still, it was very close. If you computer operates on Windows, use the iBackupBot that costs $35 and has a free trial (for 7 days). 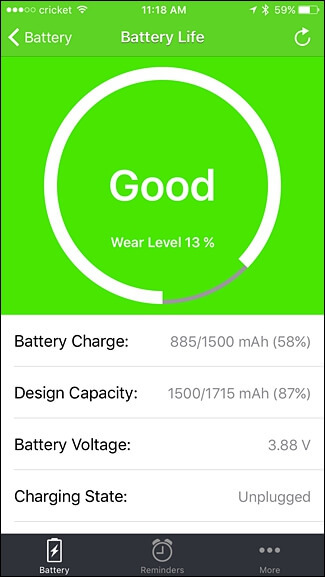 It works quickly and simply too, so it won't be a problem to find out the battery health with this app. Choose 'More information' in the panel of your device. At the screen top, there will be the info you are searching for. Check out the 'Cycle Count' line to see how many times you have already charged your battery. The initial capacity is written in the 'Design Capacity' line. The 'Full Charge Capacity' line means the maximum number of charges for your iPhone's battery. In the current case, the battery health decreased by 50 mAh or 3%. ​If your battery is in a poor condition and you are tired of recharging it every couple of hours, you could visit the Apple Store and ask them to replace your battery with a new one for a fee. Another idea is changing your iPhone to a newer one. However, before spending money on hardware, make sure that the cause of your problems lays in the battery, not in something else.